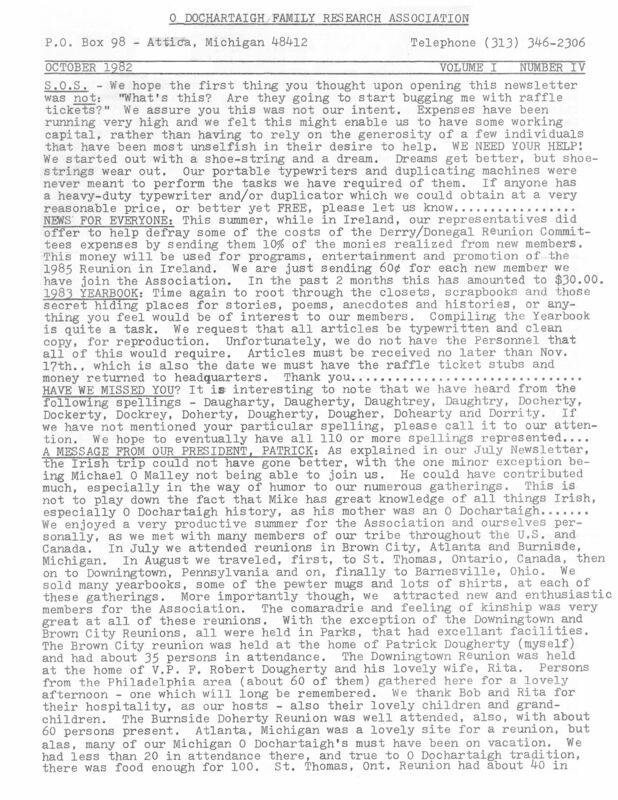 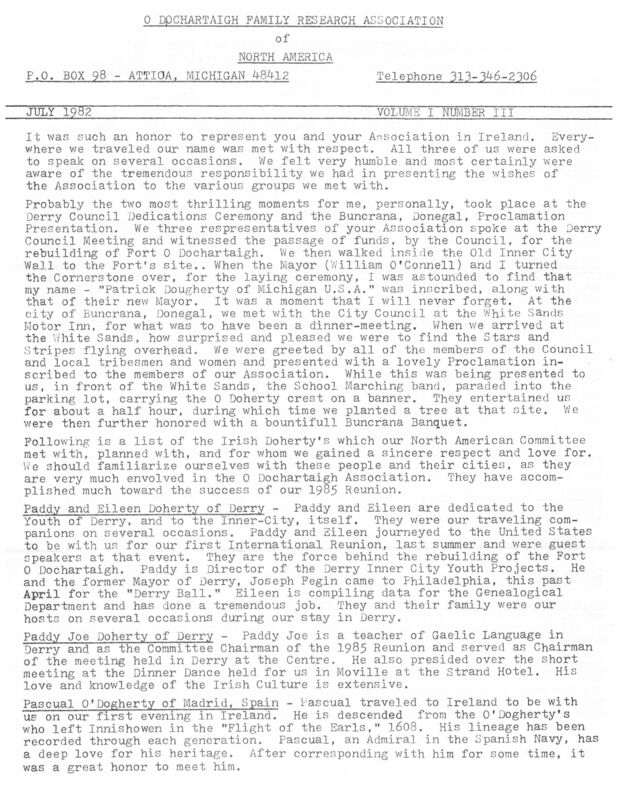 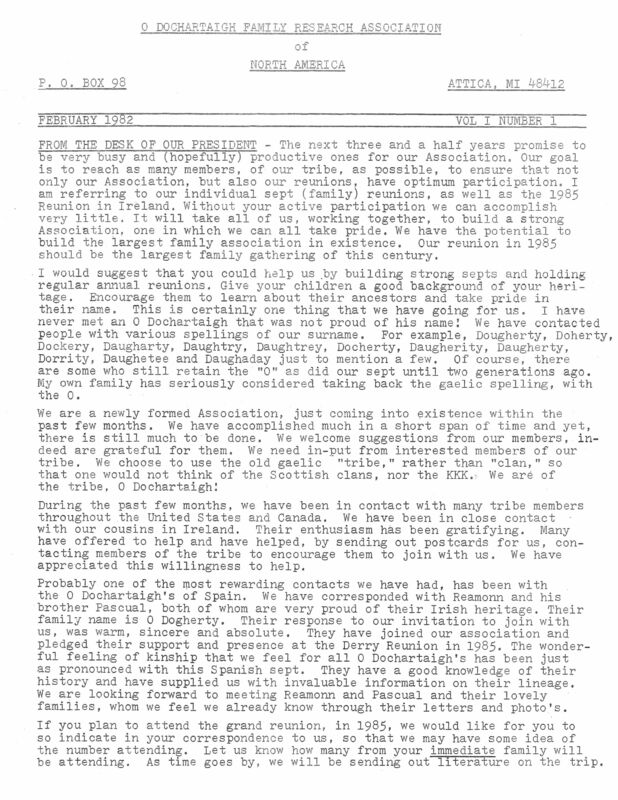 Here is a catalogue of O’Dochartaigh Clann newsletters starting in February 1982, preparing for the first international clan reunion in July 1985. 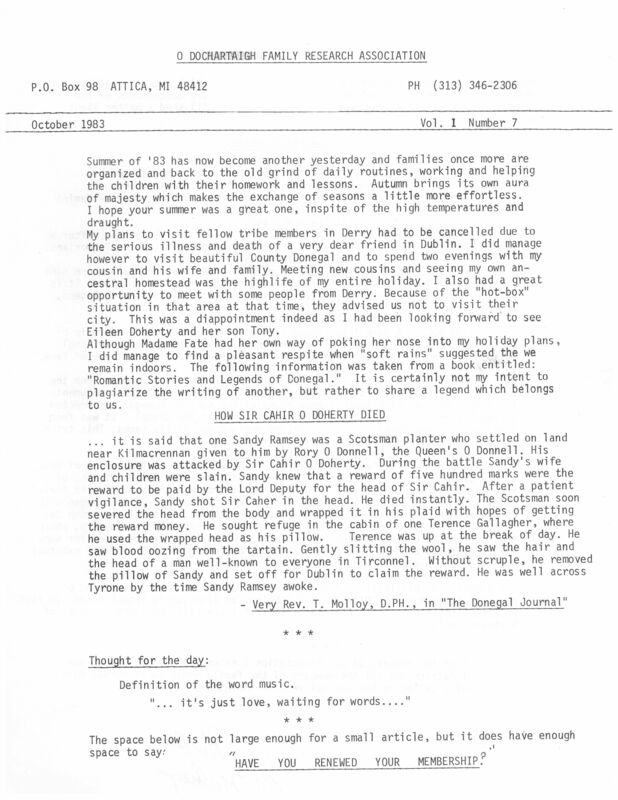 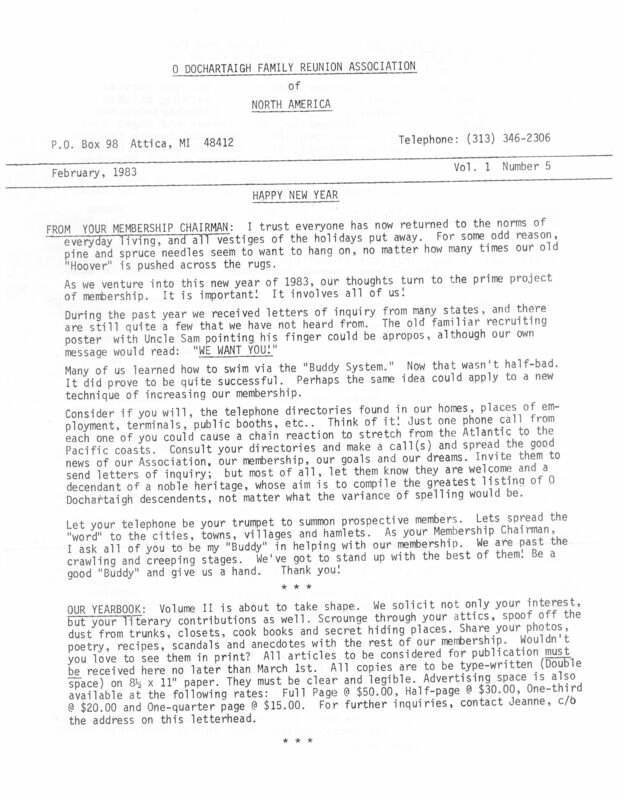 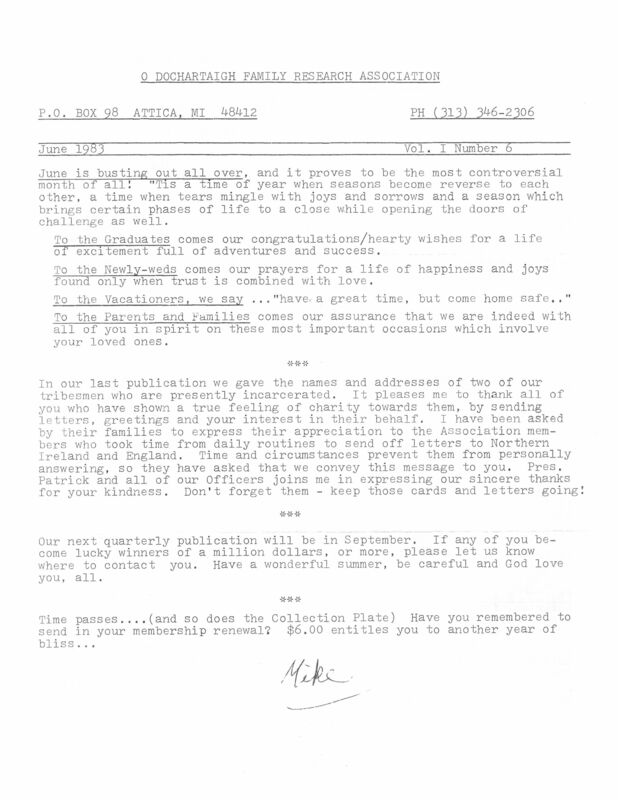 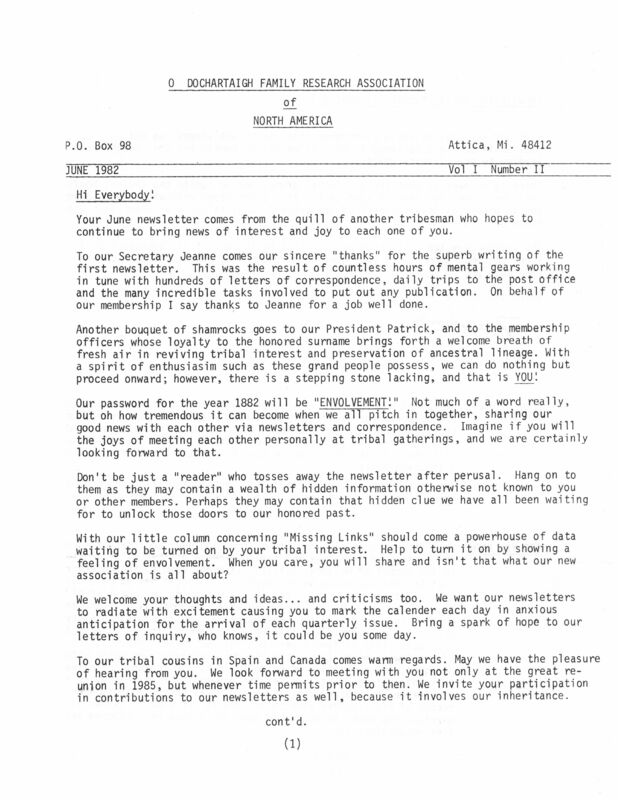 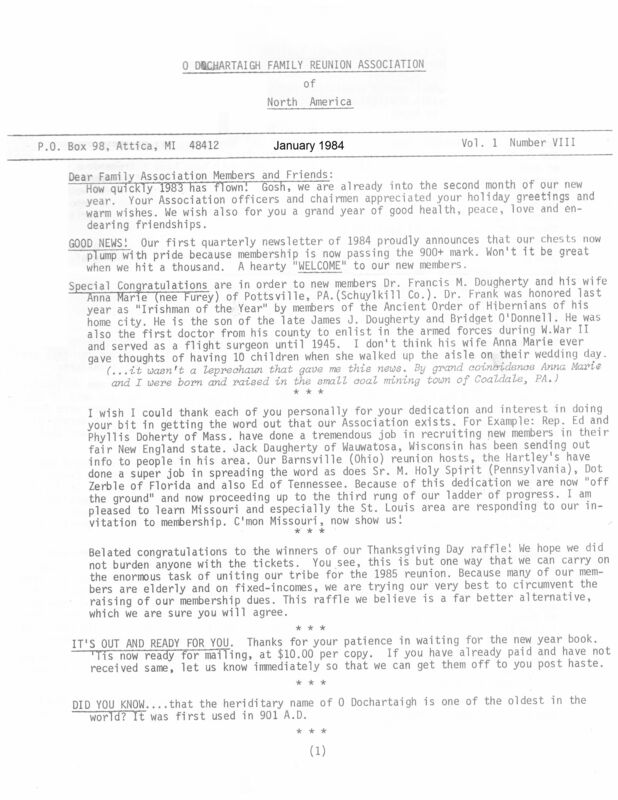 Early newsletters include tidbits of clan history, with more detail as the years progress. 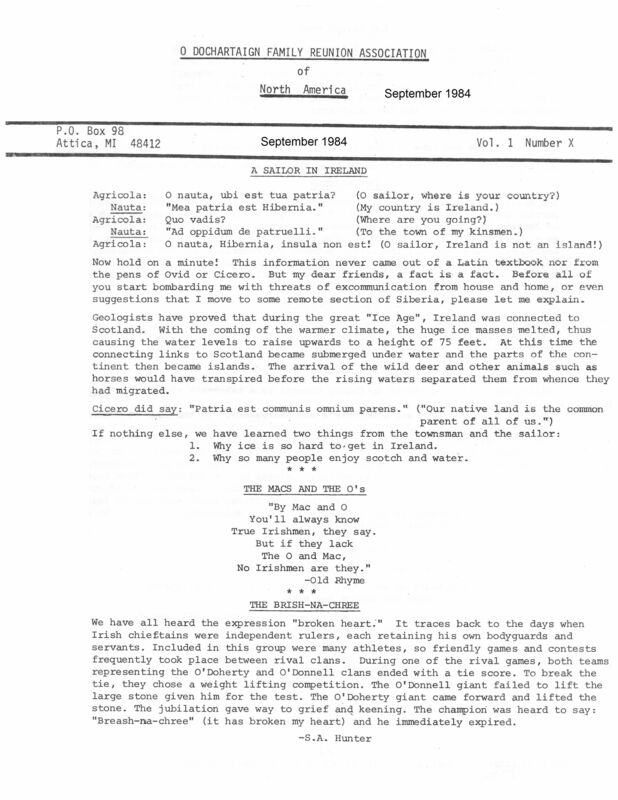 The first page of each is shown. 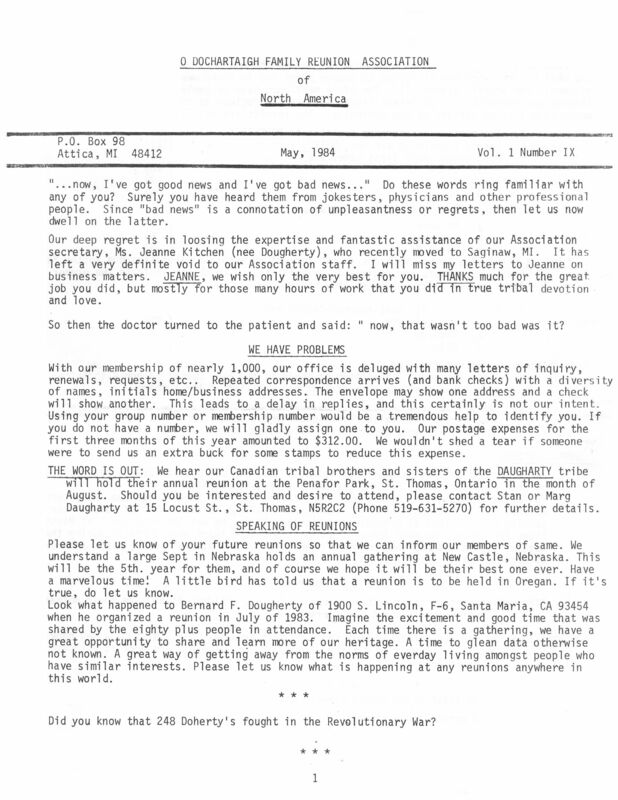 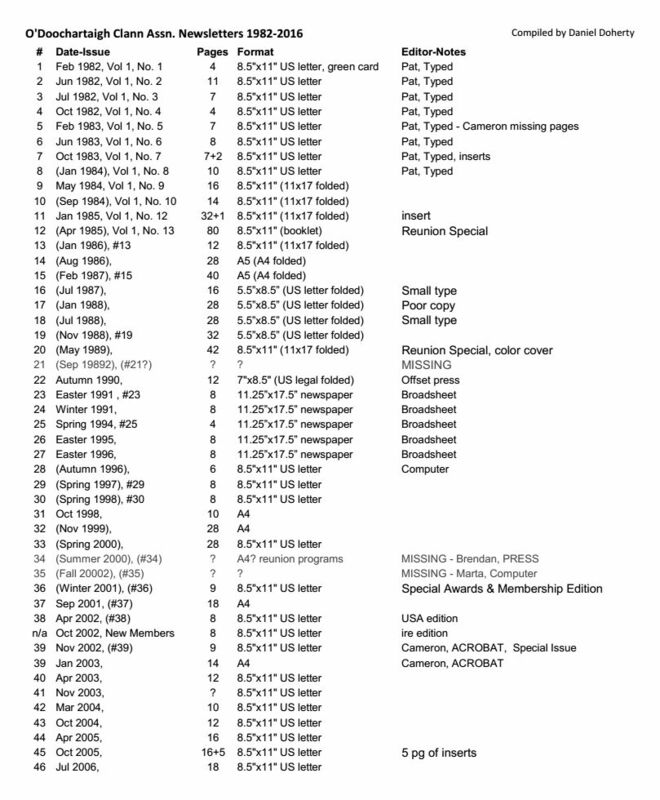 Members can request a range or individual full text newsletters in PDF.